More of us do this than not. We decide on a career while we are still pretty young; we pursue the education and/or training we need to have and we take our place on that career path. A number of years go by and we become less and less enchanted in our careers. What are we really doing with our lives? What are we contributing to the betterment of either others or society in general? Suddenly, we feel small and insignificant. And we know we have to make a change. The question is, how do we do this without suffering losses – loss of a career path we have built, loss of income, loss of prestige and respect from others? This is certainly easier said than done, and it is not an easy journey that you are about to take. On the one hand, you really want to make a change; on the other hand, you can be your worst obstacle. As mentioned, you have all of these fears and they will stall you unless you can make the mental shift to get over them. Consider what your life will be like if you stay just where you are. Do you want to retire at age 65 with the knowledge that your entire professional career has been wrong for you? Consider the regrets you will have. Rather than focusing on what could go wrong if you make a career change, think instead of what you will lose if you do not follow your passion and transition into a career you truly love. Begin by throwing all of the normal steps out the window. You can access job boards; you can take career-interest inventories; you can develop a resume and contact recruiters. But here is what you will find. The positions you qualify for are likely those that are within or related to your current career field. You are not looking for a job change – you want a career change, and that will require a different approach. Instead, here are some things you might want to do and most of them you can carry out while still in your current position, collecting that paycheck. The key is that all of these things require action, not just thought. Take up a course or two at your local college or university to explore other areas of interest. Have you always loved to write? Take a journalism or creative writing class. Maybe you will discover that it’s really not for you. Good. Eliminating those things that you have thought about narrows the field a bit. Chances are your relationships have revolved around the same people over many years. It is time to widen those horizons and get to know people from diverse backgrounds. One of the best ways is to begin volunteering or to join clubs/organizations that put you in contact with new people whose careers and interests are “foreign” to you. One unhappy aeronautical engineer joined a networking group focused on real estate. It was an area he knew nothing about. Gradually, he developed an abiding interest in housing for the poor. Today, he has his own business – buying depressed properties, cleaning them up and renting them through the federal Section 8 housing program. He has become so “invested” in these neighborhoods that he now fundraises to purchase abandoned buildings and set up community centers for kids. Inertia is a killer and it’s easy to remain inert when others are not around to provide support and hold you accountable. Seek out others, maybe even in your current organization who feel “stuck” like you do. Form a pact that you will push each other to stay active in your pursuits, bounce ideas off of one another; use one another as “career coaches” of sorts. Or even better, hire a professional career coach to act as your accountability partner through your career transition. Don’t read books on career change. Instead, spend time online exploring career fields. If you are an investment advisor, do you know anything about teaching? About photography? About broadcasting or blogging or the law? Gaining at least a cursory understanding about what others do for a living may easily spark something in you. When it does, it might be worth pursuing further. And don’t just think about it – take some action. Set up an informational interview with a professional in your field of interest; take a day off and shadow someone in a job that sparks your interest; set up a lunch or dinner meeting with an acquaintance in a career that piques your curiosity. If all of your research and activities have resulted in an “aha” moment, then you must pursue that career. It may mean that you return to formal education, even if only part-time, while you keep your current position. A PhD school administrator recalled her journey. She had spent many years in school getting that PhD. It was a major struggle, even to the point that, when she had to produce her dissertation, she had to seek help from a writing service. About eight years into her career, however, she realized it was a bad choice. At her high school reunion, she ran into a friend she had not stayed in touch with – a friend who was now a lawyer working for the Legal Aid Society in her state. Based upon that conversation, this school principal had her “aha” moment. She was back in school the next semester, but this time the struggle was not so tough – she was in a field that fascinated her. Today, she is a public defender and loving what she does. 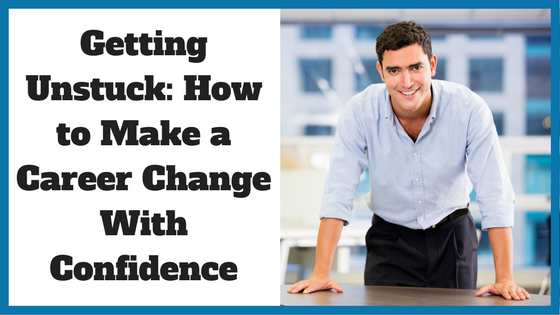 When career changes fail, it is often because seekers expect a rapid change. This is a journey, not a short hop, and it could take months or more. It’s important that you don’t give up at the first sign of trouble. According to the LinkedIn 2015 Talent Trends survey, which looked at over 20,000 employed professionals in 29 countries, nearly one in three said they are actively looking for new work. You have lots of company. The keys to making a successful change are taking action if only to discover what is not a fit, exploring different career worlds, considering what will bring you a sense of personal fulfillment, and, above all, patience and persistence.